Have you saw-off 2016 without realizing the breathtaking beauty of some best destinations of Pakistan? Then let you not be derived yourself anymore. So, welcome to Pakistan; it’s all about to hit a journey all the way to visit a long list of gorgeous places of the region. Whether crazy to hit splendid tourism expeditions or have got off from hectic work engagements to plan a trip with family or friends, top Pakistani destinations will not let you move for foreign tours. Now, be ready for the charm. The lake is the crown of the head of Pakistani beauty. It’s located in Mansehra District, Khyber Pakhtunkhwa near the Naran town and on the end of Kaghan valley. 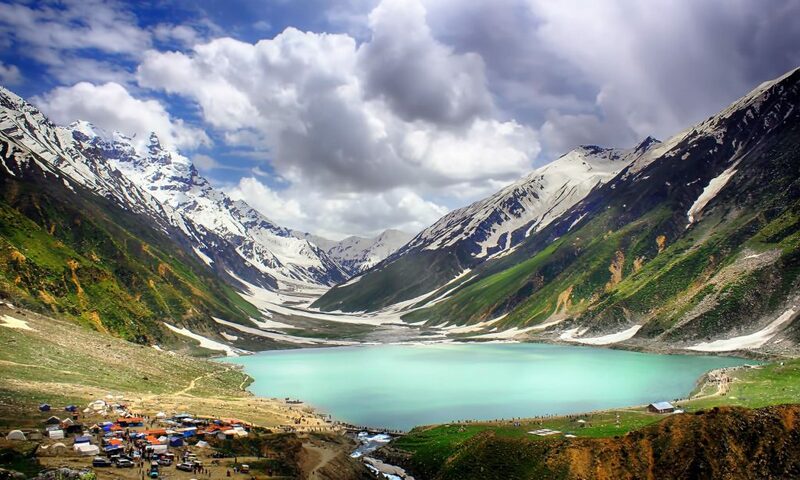 The Lake is named after the famous tale of love of a Persian prince Saif Ul Muluk with a fairy princess Badri Jamala, written by a Sufi poet Mian Muhammad Bakhsh. The breathtaking view of high glacier mountains and rich green slopes also reflects green-blue shadows in the water. One of the most beautiful lakes of the world invites you also this year to grab the unforgettable visit. Might be; you’ve listened about this distinct lake for the very first time. It’s located 350 km from Mansehra, at the height of 3353 meters at Raran Chilas Road. In fact, it’s a conjunction point of various lakes. It’s surrounded icy valleys which reflects a shadow and looks stunning. One of the most attractive lakes of the region. 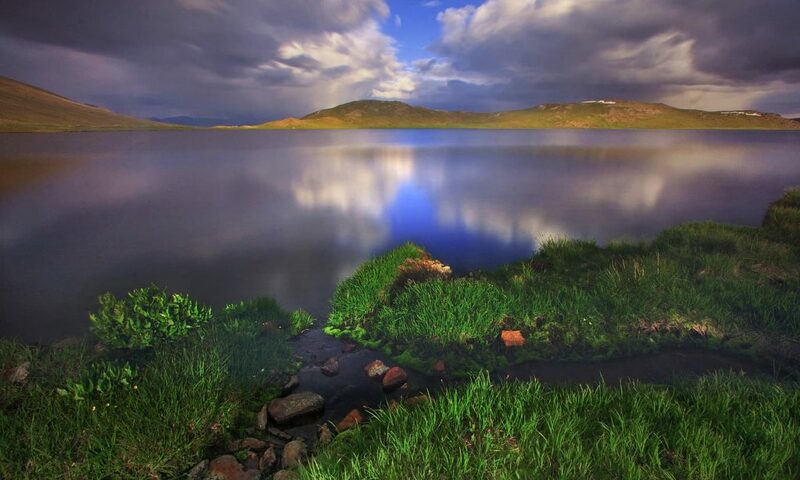 Another symbol of beauty, the Dudipatsar Lake is located at the height of 417 km in the northern side of Kaghan Valley. It can be accessed by traveling for 4 hours ahead from Jalkhad (locality of Kaghan Valley). It’s name has a local meaning of Lake of Milk because of the rich white color of water. Although, water has it’s natural blue color but the reflection of ice covered mountains cause a depiction of milky water effect. 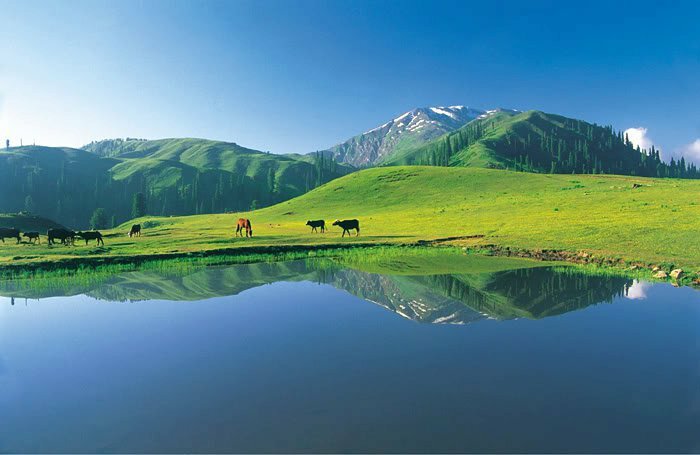 Having an incredibly attractive view, Payee Lake exists under the greenish meadows of Payee nearby the Shogren in Kaghan valley. Its altitude is almost 9500 feet. The Lake is known as one of the most spectacular lakes of the country as it’s surrounded by the peak of Makrda, Malka-e-Parbat, Mosy Damsli (most beautiful & high peaks) and the mountain os Kashmir. Stunning coverage of meadows around Paaye depicts it as a scene of the imaginary world. Near Shogren in Kaghan valley, Siri Lake is situated having a height of 8500 feet which is less than the altitude of Paaye valley. Although, it’s small and seems like a pool the have given it an adorable outline which stimulates the tourist to approach. With the length of 3 miles and a width of 1 mile, Shandur Lake is one of the masterpieces in Pakistan bestowed by nature. It’s located nearby the Polo Ground. The lake is especially renowned for having uncommon species in its water; moreover, it doesn’t feel any emission of water apparently. But experts said that its water flows under the ground and falls into other water. This process is hidden from a naked eye which is a miracle itself. This lake has crystal clear water which is approximately 70 meters deep. Nearby the lake, Indus river flows bit deeper than it. In summer, the temperature lies between 10 to 15 °C, whereas it falls quite below the freezing point (zero °C) in winters. You can ever experience this lake as the coldest destination if you have got a plan to explore it in frosty season. Abundant with sweet water, this lavish lake flows 8,500 feet above the sea level. It’s the most significant lake in Gilgit-Baltistan (province of Pakistan). 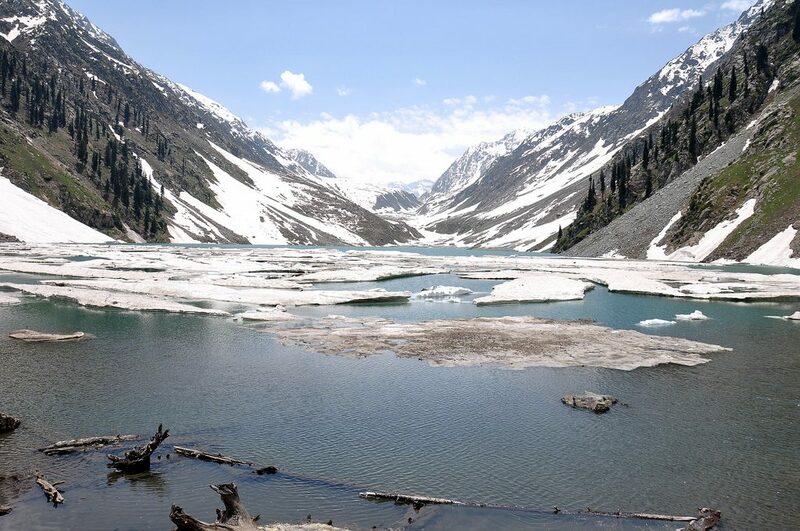 Satpara Lake has rugged rocks on its 2 to 3 sides which become fully covered with snow in winters. With the start of summers, the glaciers melt and raise the water level in it. Situated in Deosai National Park of Gilgit-Baltistan. One of the highest lakes in the world; Sheosar lake is at the elevation of 4,142 meters, altitude of 7,500 feet, width 1.8 kilometers and the average depth is 40 meters. It requires many hours to take rounds of Sheosar lake by which we can estimate the dimensions. 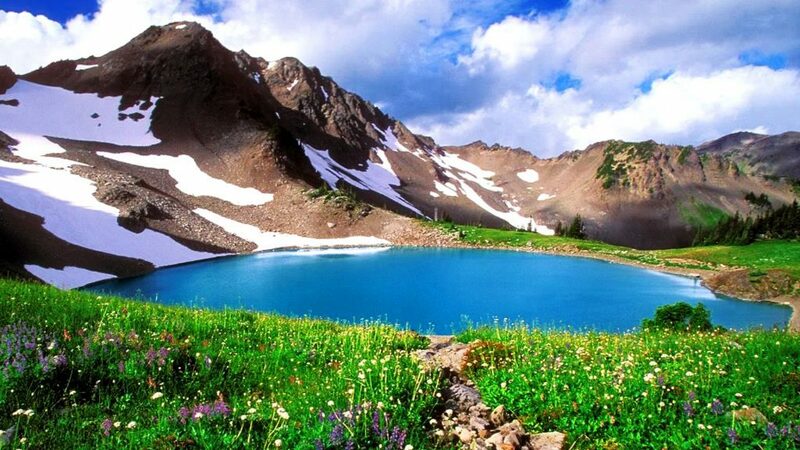 No, doubt, marvelous conjunction of snowy mountains, rich green grass, colorful flowers and this distinct lake having deep blue colored water portray the scene of the heavenly kingdom. 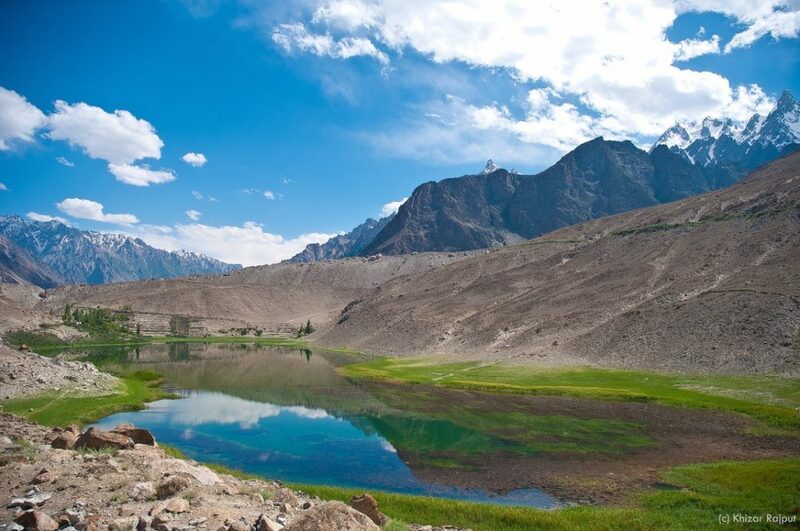 In westernmost part of the Gilgit-Baltistan region, Phandar lake is situated in Phandar Village called the symbol of beauty which is further located in Koh-i-Ghizar, Ghizar District. 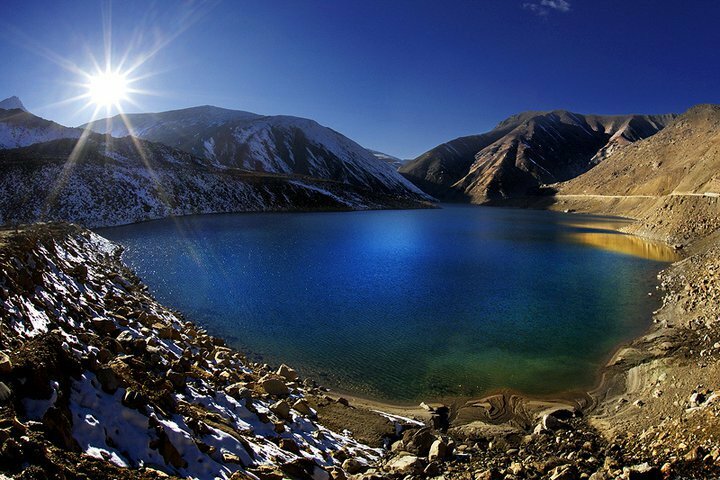 Phandar lake is 44 meters deep and a great source of fresh water in the region. 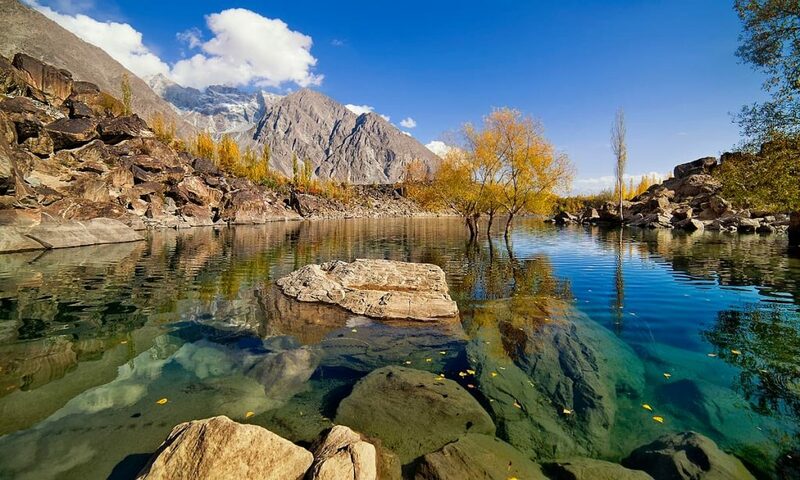 At the upper part of Hunza valley, Borith lake is located in Hasini village near the area of Gojal. It can be called the most beautiful lake of the region but adventurous too by having the dangerous passing bridge. Via crossing glaciers, away comes straight from Gilgit to Borith lake. It takes 3 to 4 hours on foot, but without hiring the service of local guides, it can cause a serious happening while crossing the cracked glaciers. 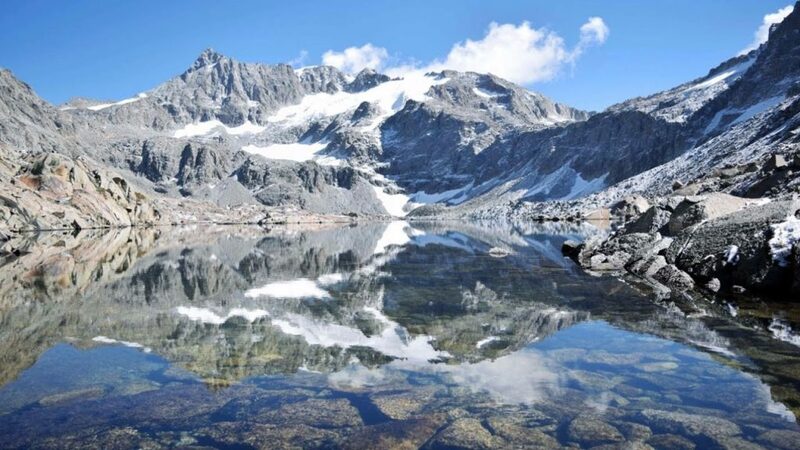 In actual Borith lake is originated from the water of icy glaciers and a tremendous serving place for the visitors and migratory birds of central Asia. While approaching towards the lake, Chorpardi is situated which is the last one village. After that, the valley seems like a closed area. In local language closed area is called Dak. 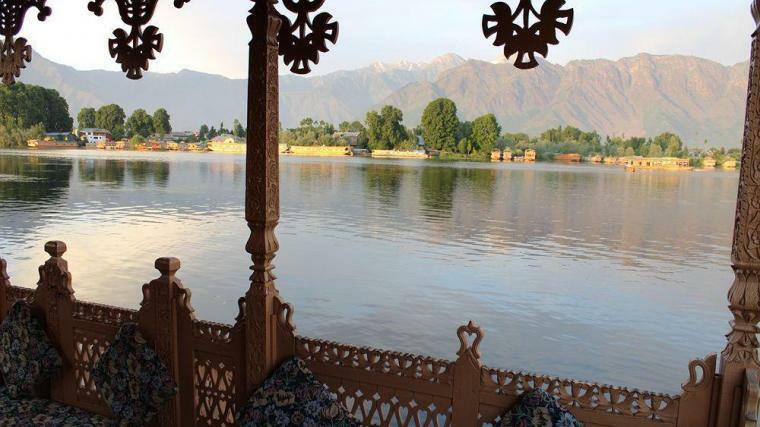 Daksar Lake has its distinct attraction which differentiates it from any other lake because of the being the lake of heavenly Kashmir. Most of the tourists of Sawat and Kalamare not familiar even with the name and location of Kandol lake because of being less renown. Although, the journey is quite difficult the scene of the vast lake surrounded by icy peaks, reflecting blue sky in crystal clear water and the whisper of swaying wave release all the stress and drive you to drive you in the soothing mood. 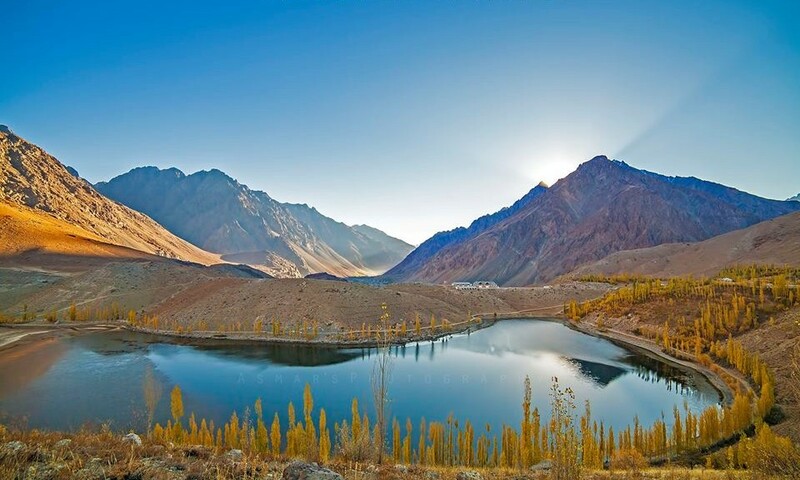 Gilgit-Baltistan has a natural treasure trove of numerous lakes; Karamber lake is one of them which is situated in Ishkomen, the District of Ghizer near the boundary of Khyber Pakhtunkhwa Province. 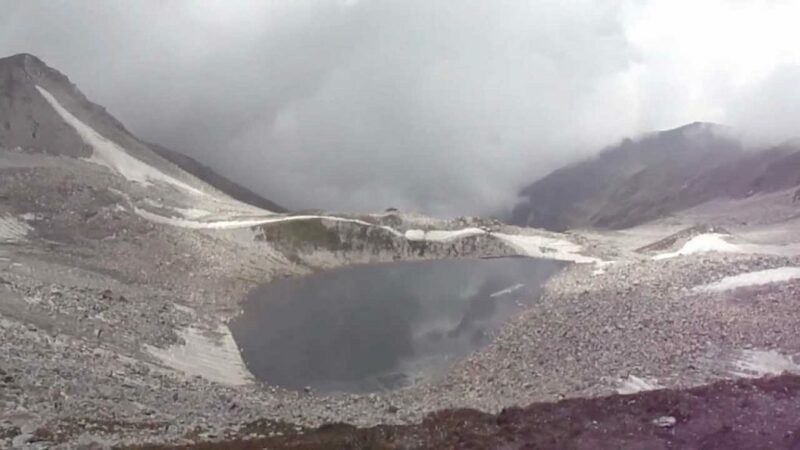 With the altitude of 14,121 feet, Karamber lake is 2nd highest lake in Pakistan and 31st highest in the world. It’s one of the most lovable destinations as well. Every year numerous tourists direct their journey towards the promising lakes of this region. Ansoo Lake flows in Manoor Valley, Kaghan Valley in the District of Mansehra, Khyber Pakhtunkhwa. Its name Ansoo is Urdu translation of word tear. Another interesting fact about it, the lake resembles with the shape of a human eye, the icy islands takes after the inner part of eye and ridge is same like an eyebrow. 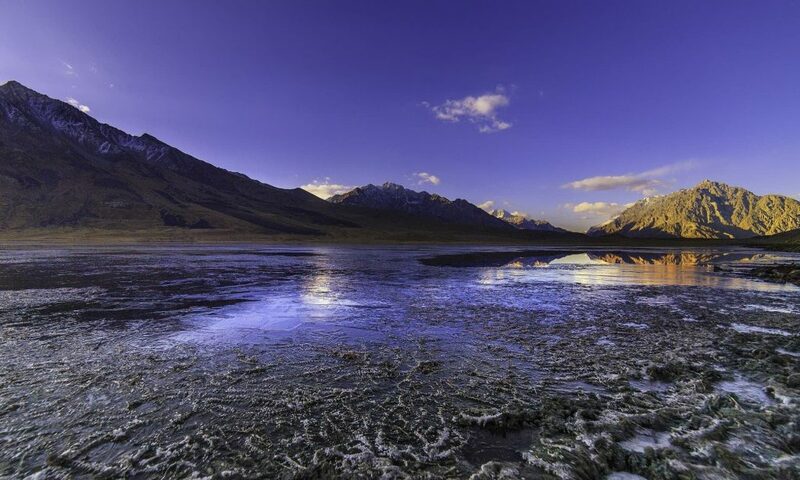 Ansoo lake can be visited but not an appropriate place to stay because of its extraordinary chill temperature. Even the camping is also not appreciable by local people regarding glaciers and uneven slopes. 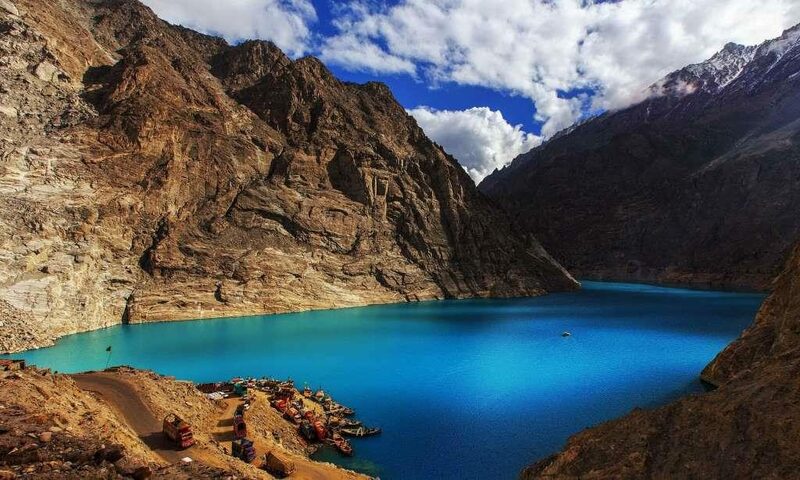 Attabad lake is also known as Hunza lake; the most recent lake which has been built in 2010 in Hunza valley regarding the landslide blocking of Hunza River. It’s 22 kilometers long and 220 feet deep. Its every aspect is adorable and beneficial too because it’s the greatest source of clean sweet water. 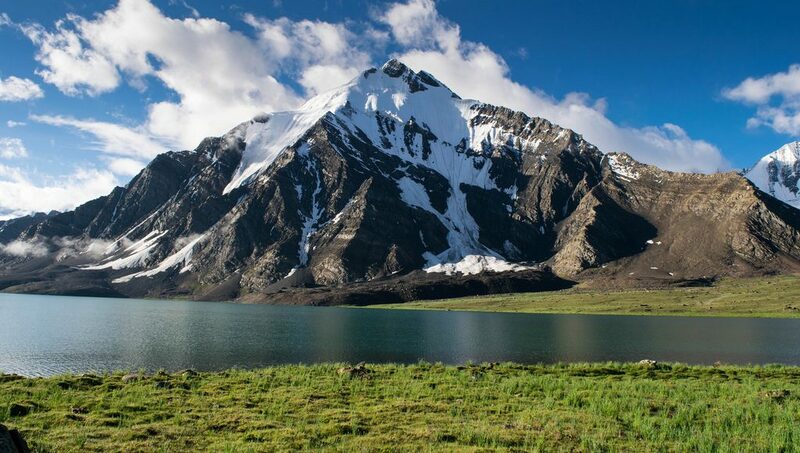 At the height of 13,404 feet, Shytan Goth is renowned as the most attractive lake of Swat. Guat is a Pashto word which known as the corner and the whole name meant Devil Corner. means view is simply stunning inside up and down lanes of icy peaks of huge mountains. 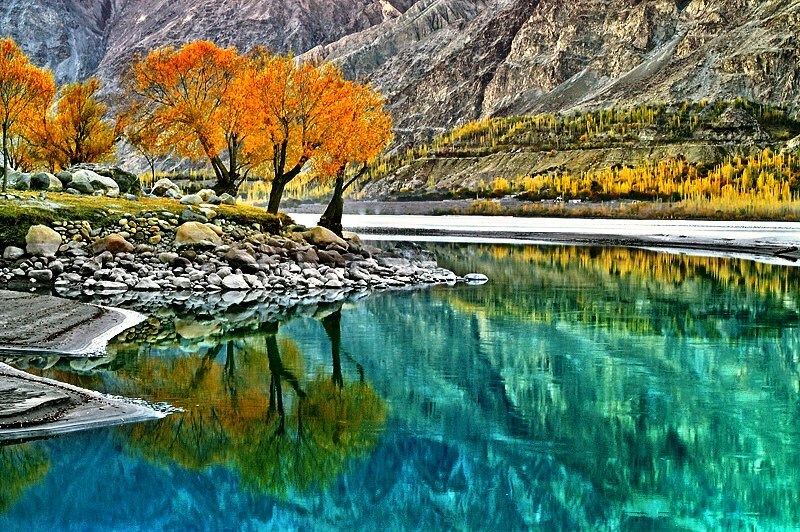 In a nutshell, we’ve just compiled a list of top tourist attractions by sharing a list of most beautiful lakes of Pakistan, but it’s impossible to describe the bounties of nature bestowed by the Almighty Allah. It’s appreciable to go and find the grace of nature on earth. Have a safe, sound and happy journey! To make your trips contact Pakistan Travel Places.